Students from Nantes are competing for the prestigious MIT iGEM prize | Support them on this adventure ! 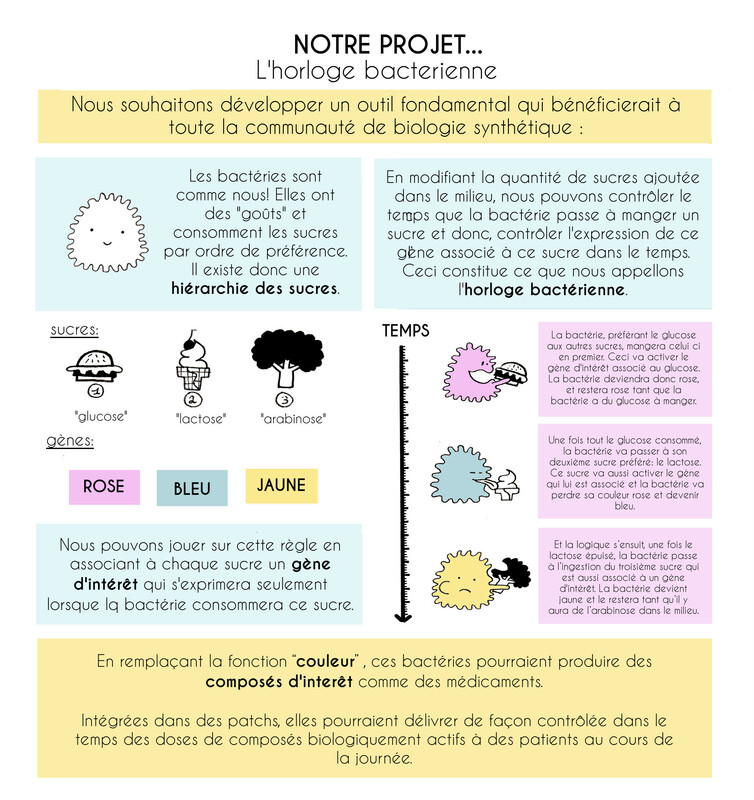 Home > Students from Nantes are competing for the prestigious MIT iGEM prize | Support them on this adventure ! 15 students from the Nantes faculty of science and technology have formed the first team from Western France to take part in the greatest international biology competition, the iGEM (International Genetically Engineered Machine), organised by the MIT (Boston, USA). In 2018, 316 teams involving around 6,000 participants from 42 countries presented projects, which all needed to provide a response to current issues, essentially in relation to health, the environment and sustainable development, by means of solutions making use of synthetic biology, with the aim of developing virtuous and people-friendly practices. 114 gold medals, 68 silver medals and 107 bronze medals were awarded to the best projects in 27 categories (Diagnosis, the Environment, Therapy, Nutrition, Energy, Design, Entrepreneurship, etc.). They will be going to Boston at the start of November 2019 to present their project to this international jury. Their motivation is strong and their aim is to win a gold medal! To do this, they are planning to create a biological clock in the form of a bacteria that is able to monitor the expression dynamics of the genetic programme. Due to a sensitivity to different types of sugars, which it uses sequentially for its metabolism, this “Biological Machine” is able to activate various genes controlled by promotors that are sensitive to these sugars, at defined times. This Biological Machine could, for example, activate various medications on the basis of time, express proteins of value in a controlled manner in accordance with a pre-programmed cycle and, more generally, could prove to be a useful biological tool. This team is looking for support from biotechnology companies in the form of donations of consumables and/or equipment, or financial support, which would allow it to consolidate its budget. This contribution will enable the initiative and excellence of the scientific community in Nantes to be truly put on the map. All donations will be used to effectively conduct their experiments and to organise scientific communication events. The sponsor companies will have their logos displayed on communication materials, will be mentioned at all public events and will be informed of the project’s progress. On their return from Boston, the students will organise a talk on their project and their experience where they will highlight the support of sponsors and partners.